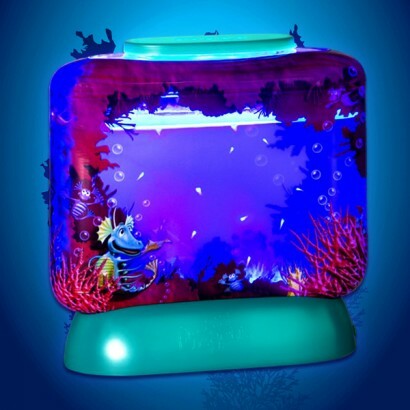 The Aqua Dragons Deluxe Sea Habitat is the perfect underwater world in which you can breed your very own sea dragons; it even has built in LED lights to illuminate their habitat and let you watch them play, even in darkness! The awesome kit contains everything you need to hatch and grow the harmless critters. 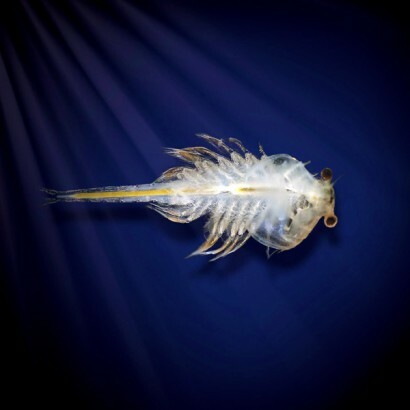 Care for them properly and you will see the long tailed, hairy headed 2cm long Aqua Dragons eat, grow, swim, play and even reproduce! 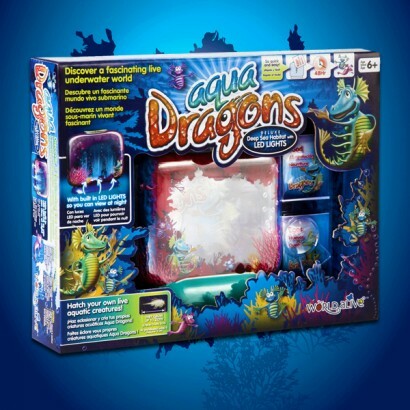 Grow your Aqua Dragon family even bigger with the Aqua Dragon Refill Kit sold separately. 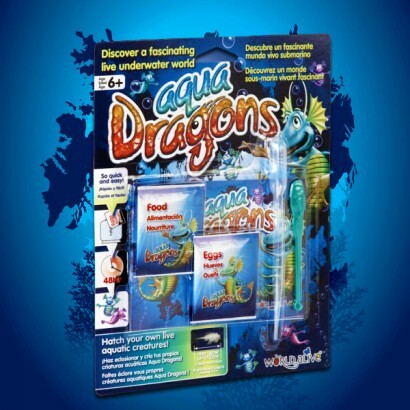 This kit contains even more hibernating dragon eggs, as well as more food to keep them growing and healthy!